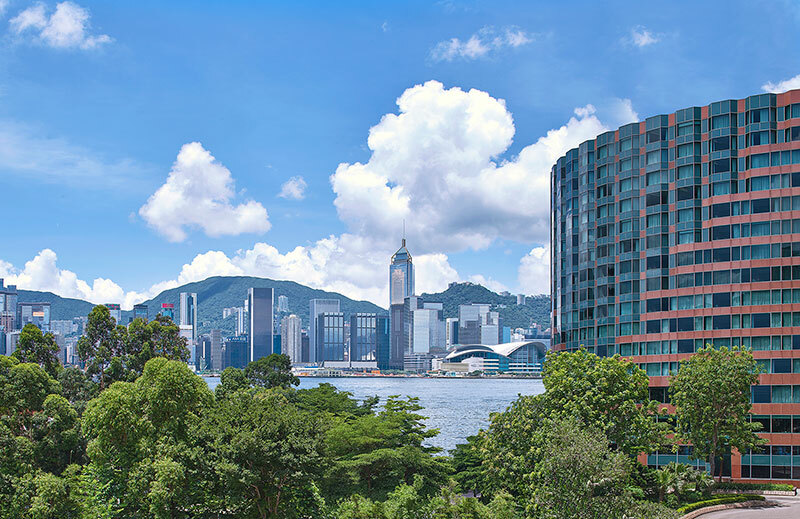 Strategically located just steps away from the promenade, and just a few minutes walk away from either East Tsim Sha Tsui or Hung Hom MTR stations, New World Millennium Hong Kong Hotel is an accessible, luxury hotel with the perfect view of Hong Kong island’s cityscape. And if you’re planning your wedding right now, good news, amazing offers and prizes await you at “A Wedding to Remember” Bridal Fair happening this 2nd of September, 2018, from 2:00 to 6:00 p.m. in the hotel’s Grand Ballroom. This harbourfront five-star hotel has prepared numerous activities for couples attending the fair including a catwalk show, a Chinese wedding etiquette sharing session, bridal workshops, and first-hand preview experiences, as well as a line-up of more than 10 participating merchant booths offering one-stop shop wedding services. And that’s not all, there are a lot more things to look forward to in this fair! Guests attending the event will have the opportunity to win a five-star hotel getaway for two in Singapore, while guests confirming a wedding event on the day will stand a chance to win return flight tickets to Okinawa, and five-star hotel stays in the United States and Malaysia for two persons, along with other exciting prizes and one-day-only limited offers for the day. 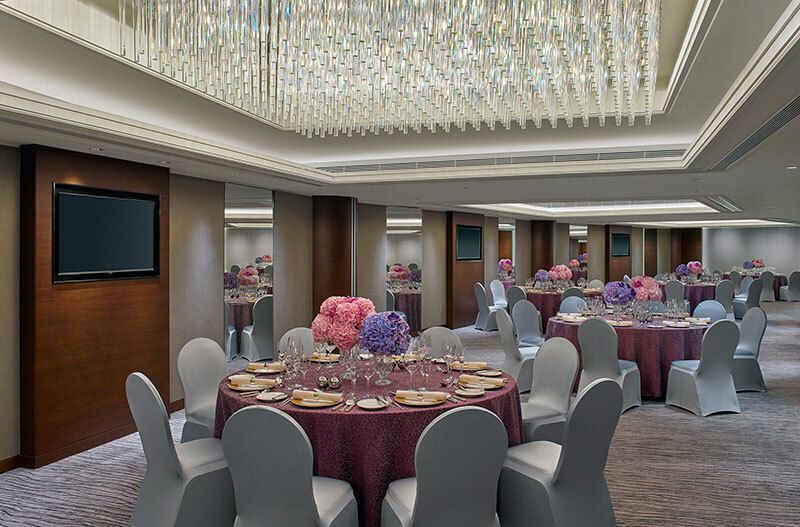 During the fair, New World Millennium Hong Kong Hotel will also showcase the results of their recently completed HKD 300 million makeover in December: new, luxurious ballroom and event spaces available for your special day. 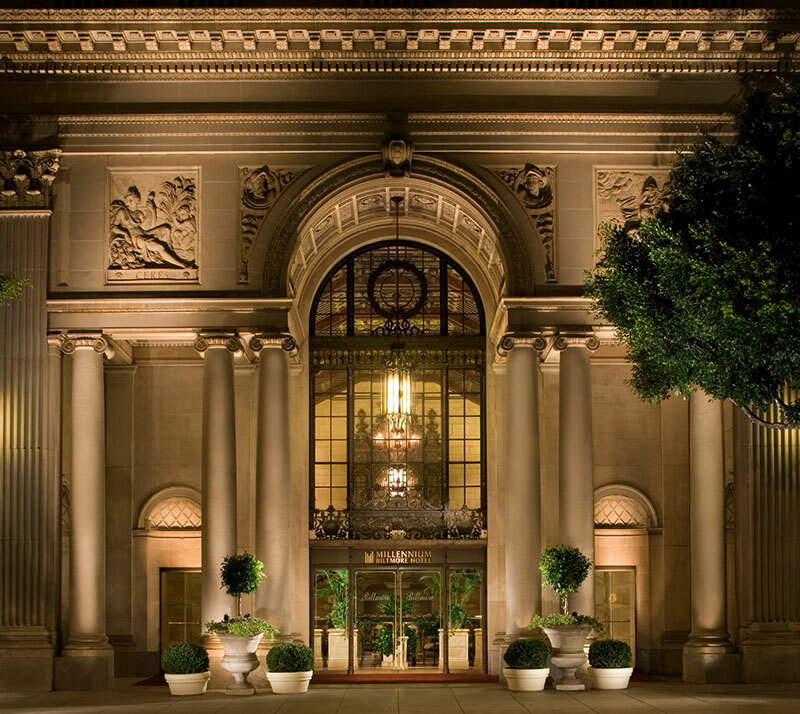 Stepping into this newly-renovated hotel will be extra exciting. 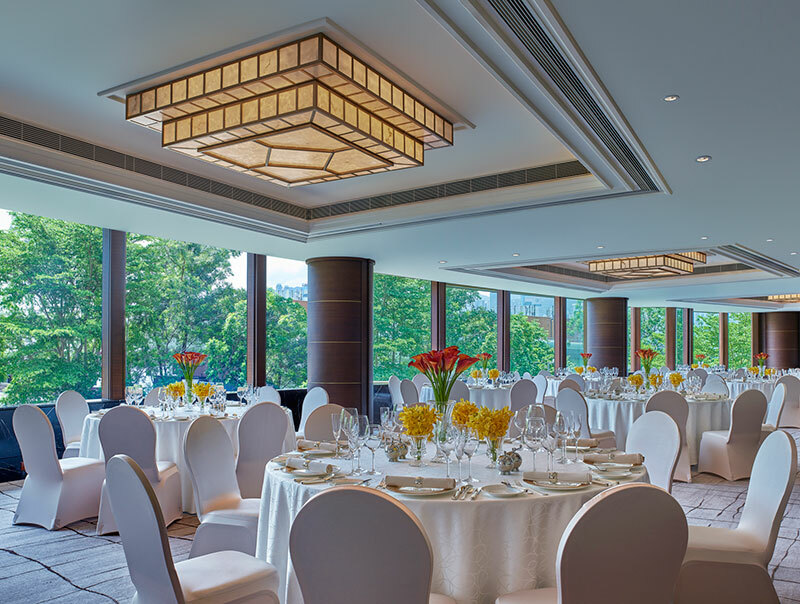 Four beautiful event venues will welcome you: the fan-shaped, pillarless Grand Ballroom; the Garden Room with bay windows and natural daylight; the Event Room which can seat 96 guests and is ideal for small weddings; and the stylish Chairman’s Place which features floor-to-ceiling bay windows. 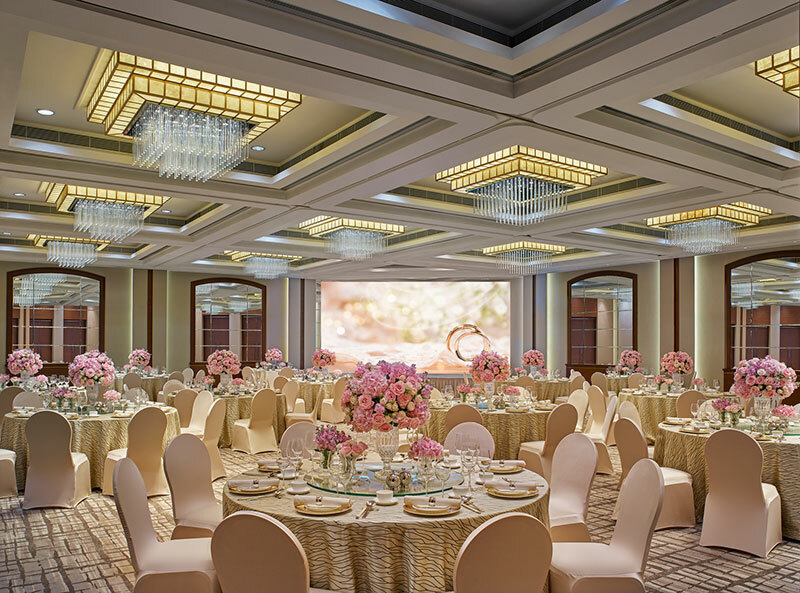 Whatever kind of wedding you plan to have, any one of these venues will deliver an unparalleled banquet experience for you and your guests. 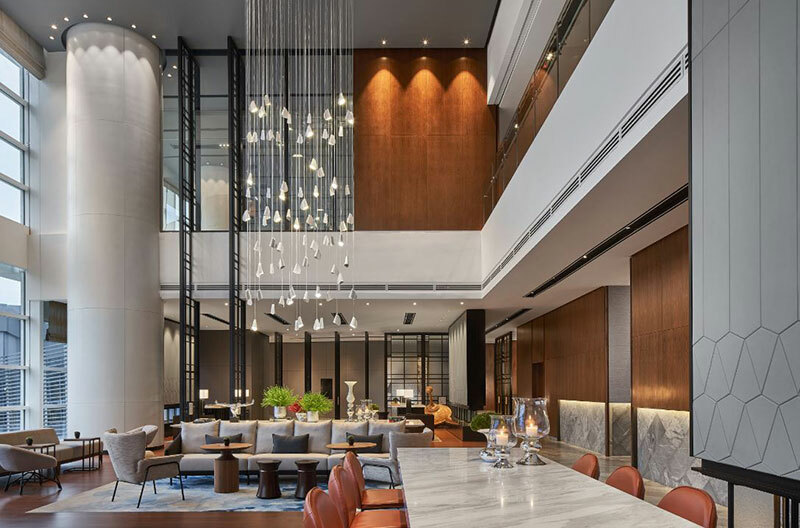 Hotel tours will be arranged to introduce the recently renovated banquet spaces, guestrooms, and other hotel facilities to all wedding fair guests. A wedding fair will not be complete without activities. Some of the highlight programmes for the day that attendees can look forward to include a pearl bridal jewellery showcase by Made of Pearl, a bridal catwalk show by Mykonos Theme Wedding introducing upcoming European wedding gown and evening dress trends, a sharing session by renowned Chinese wedding consultant Ms. Sharon Au, as well as bridal headpiece workshops (advance reservation required.) 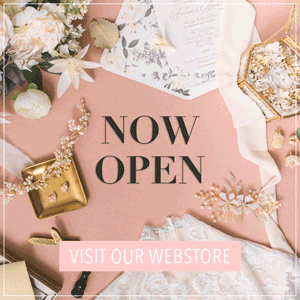 Participating merchants will also offer firsthand preview experiences on the spot, such as bridal soft gel nail styling, personalized western calligraphy and the trendy wedding video booth service. 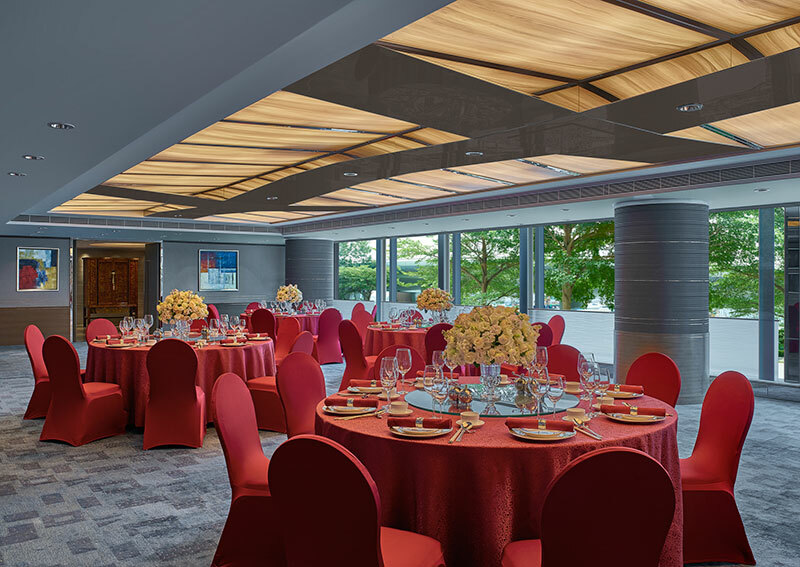 After seeing the newly-renovated venues, you can book your event at a special rate! 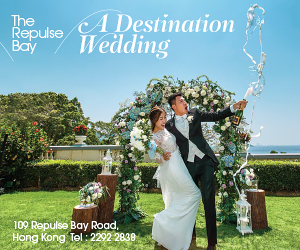 The hotel will provide wedding banquet packages exclusively available for the event, featuring one-day-only limited offers on accommodation, drinks package and food-tasting for bookings of 10 tables or above. 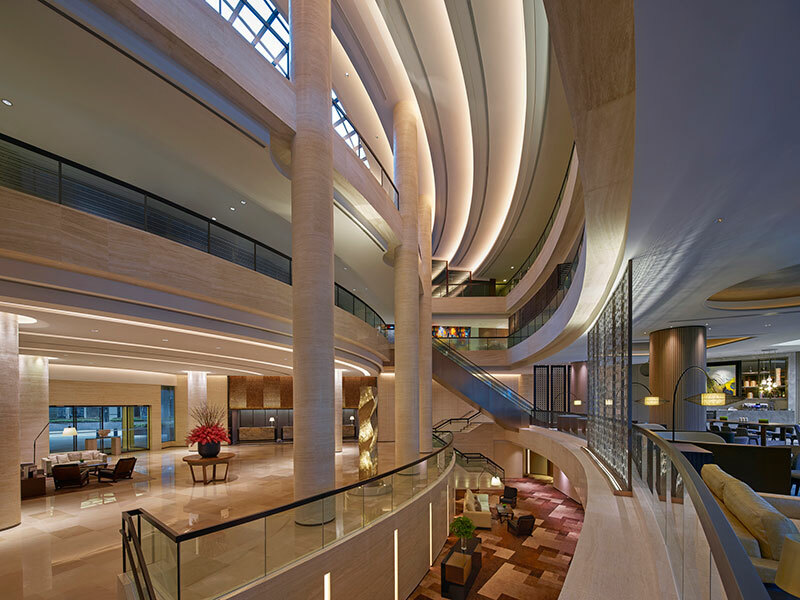 The packages start from HKD9,880 per table, excluding 10% service charge. 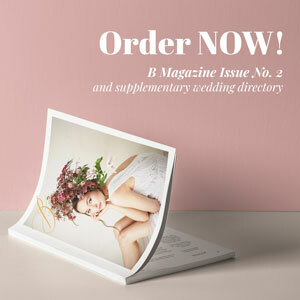 Consider this generous offer for your Big Day, it’s a real steal. 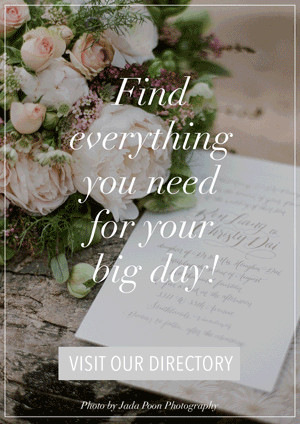 There are also countless prizes at the wedding fair–surely, you won’t want to miss out on them. Guests who confirm a wedding event on the day stand a chance to win a range of tempting rewards, including Cathay Pacific’s return flight tickets to Okinawa for two; hotel stays with breakfast for two at famous honeymoon venue Millennium Biltmore Hotel Los Angeles and the newly opened New World Petaling Jaya Hotel; Mykonos Theme Wedding free evening gown rental service; Made of Pearl marquise drop earrings & necklace; 16 x 20” European-style wedding picture by Chris Ling Photography; Hoolala Production bridal make-up service; as well as 50% discount vouchers on wedding consulting by Ms. Sharon Au. 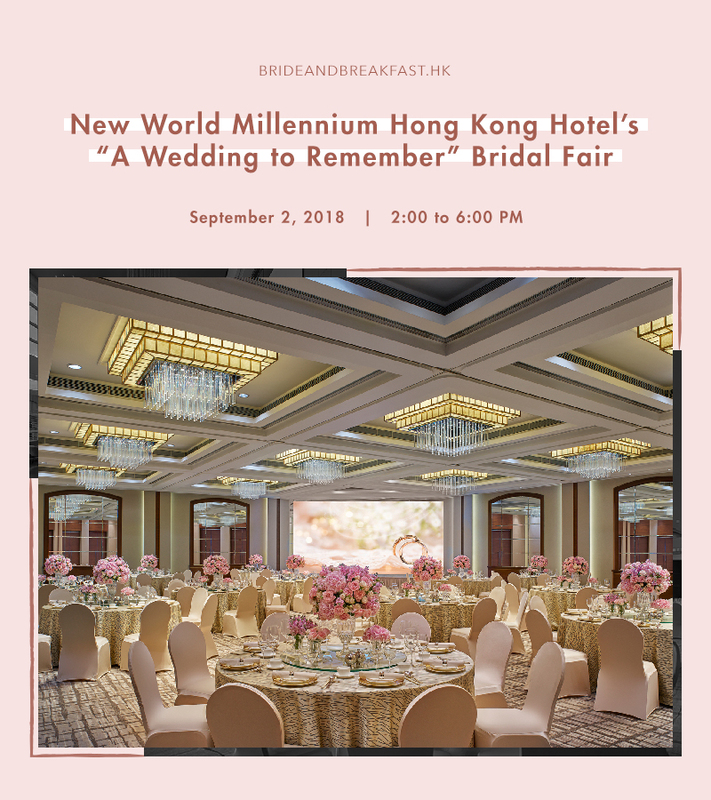 Moreover, all guests will have the opportunity to win a hotel stay with breakfast for two in the five-star Orchard Hotel Singapore along with food and beverage vouchers by New World Millennium Hong Kong Hotel. Finally, admission is FREE and the first 100 couples who have registered online will receive a welcome gift pack upon arrival, with treats such as skincare sets by Alqvimia and Guerlain, a gift voucher for freshwater pearl ear studs by Made of Pearl, SEED Japanese colour contact lens trial vouchers and gifts, a cash voucher by The Grandeur of Music, and a pre-marriage body check voucher by Health.ESDlife. Click here for online registration and event details. 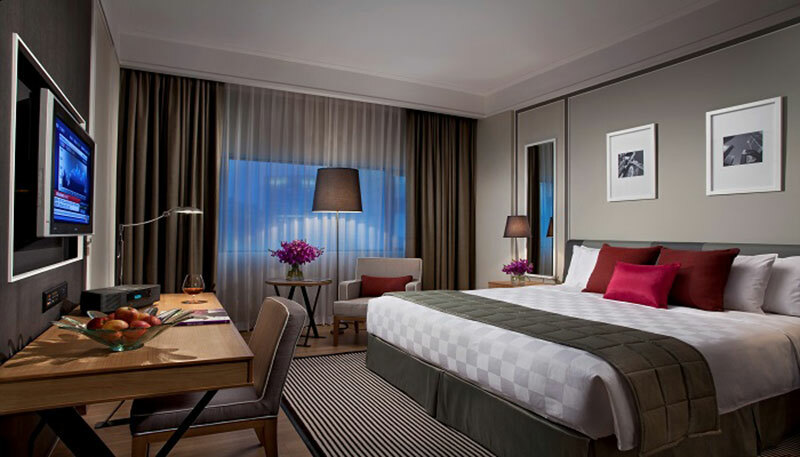 For more information, contact New World Millennium Hotel via [email protected] or call +852 2313 4503.